Biochemistry titles are located in the call number sections beginning with QD 415 and QH 345 located on the 4th floor of the library. 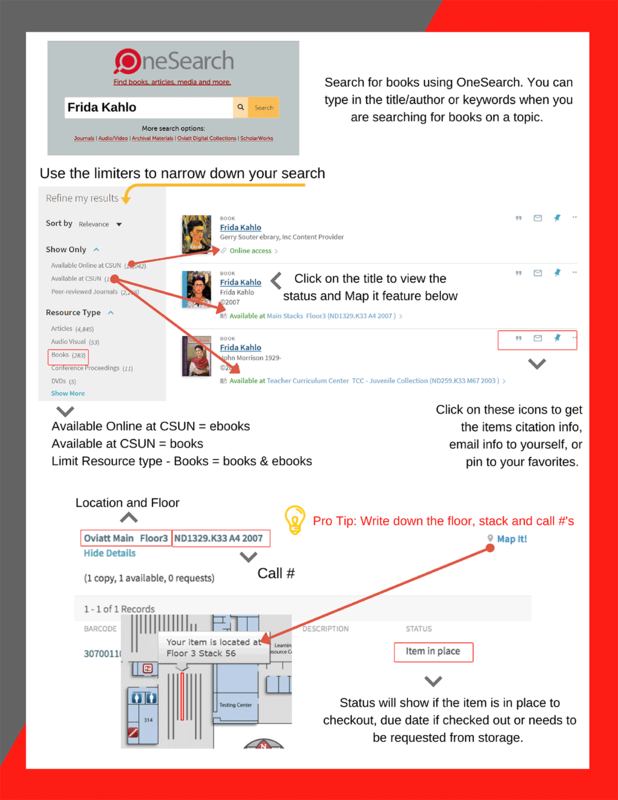 Search inside books at the NCBI Bookshelf and Google Book Search and check for availability in OneSearch. Additional biochemistry books are available on Permanent Reserve (on the fourth floor, east wing) at call number QD 415. How Do I Search for Books? You can search for books using Onesearch by typing in the title, author or keywords in the homepage OneSearch form. Once the results page loads, you can use the limiters in the menus under "Refine My Results" to narrow your results. Selecting "books" under "Resource Type" will limit the results to eBooks and print books. For eBooks only, select "Available Online at CSUN" under "Show Only"; for print books only, select "Available at CSUN" under "Show Only." Click the title heading of any given result item to view the full record. In the full record, under "Get It" you'll find the item's location in the Library and its status (available, checked out, request options), and under "View It" the direct link to electronic text, if available. The "Send To" menu offers tools for citing, emailing, or saving a record as a favorite.